One of the benefits of renting includes the option for tenants to defer home maintenance to the property owner or management company. When a pipe bursts or an appliance starts acting up, a renter simply needs to put in a call to their manager or landlord to fix the problem. While it may be true that owners and managers are required to keep up with most property maintenance, there are some areas of maintenance that become the tenant’s responsibility. Your tenants are expected to keep the property clean, dispose of trash properly, and need to avoid deliberate or negligent damage to the property. Most lease agreements require that a property should be returned in the same condition it was at the beginning of the lease term. Upon vacating a unit, if any damage is discovered or cleaning is required to return it a habitual state the expenses can be deducted from the tenant’s security deposit. While it may seem obvious to you, some renters just don’t realize their responsibilities when it comes to maintaining their rental property. In order to help them be successful, and to keep your property properly maintained, go over your expectations with them during the lease signing process and consider providing a handout as part of their move-in welcome package. Your tenants’ maintenance responsibilities should be outlined in your rental agreement so they understand their contractual obligation in regards to maintaining the property properly. 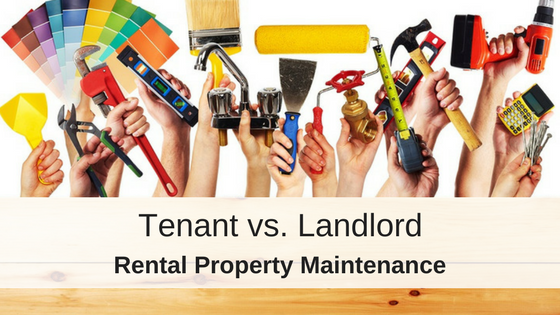 Including your maintenance expectations in your lease agreement gives you leverage if your tenants damage the property and refuse to pay for repairs. Check out this Renter Maintenance Checklist to provide your tenants. Most lease agreements and landlord-tenant laws follow the expectation that if a tenant causes property damage they are responsible for financing the repairs. Common damage that could be caused by a tenant and repaired with tenant funds include broken windows, holes in the wall, or damaged carpets. Tenants are not responsible for fixing problems like leaky roofs, cracked foundations but are required to inform their property manager about maintenance issues so they can make proper repairs and prevent further damage. One of the most important issues to address with your tenants is waste management. While you cannot require your tenants to have spotless homes, you can include lease terms in regards to the proper way to manage garbage by making it your tenant’s responsibility to properly dispose of any trash on the premises that could contribute to pest infestations. 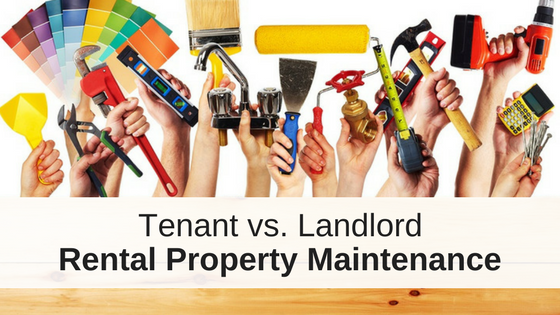 Property maintenance can also become a shared responsibility between the landlord and tenant and specifics should be outlined in the lease agreement. Landlord : The landlord should keep these systems in working order, and fixing any of these qualify as a owner responsibility. Tenant: Tenants are responsible for using these fixtures properly and for reporting any issues to prevent further damage. The residential lease agreement may also assign responsibility for keeping pipes clear and replacing air filters as necessary to the tenant. While the owner is required to fix these systems, if it was discovered to be defective due to negligence, like flushing a diaper, the tenant could be held responsible. Landlord: Property owners are typically required to provide and maintain safety features and replace or repair them as needed. Tenant: A lease agreement may require tenants to replace batteries and test these systems to make sure they are working properly. Landlord: Federal law dictates that the landlord must warn the tenant of the presence of lead paint dust, asbestos and mold in the rental property and that the landlord must manage such toxins to ensure they do not pose a health danger to the tenant. Tenant: The lease can require tenants use proper ventilation systems and ways to clean mold should any be discovered during tenancy. Landlord: If the rental lease agreement includes mention of an appliance, the landlord must keep it in working order. Tenant: If the tenant causes damage to the appliance, however, the landlord may deduct the amount paid for repair from the security deposit. Landlord: Owners are typically required to take responsibility for pest control if there is an infestation. Tenant: The tenant must keep the property sanitary as to not invite infestation. If the tenant does not keep a clean home, the landlord may deduct the amount paid for extermination from the tenant’s security deposit per the lease. Landscaping requirements can fall on either the property manager, owner or tenant per the lease agreement. Landlord: Landscaping becomes the landlord’s responsibility if an unmaintained property if it violates local laws or homeowners’ association rules. It is also a good idea for the owner to take responsibility for Keeping bushes trimmed to prevent fire hazards to the property. Tenant: If the landlord assigned landscaping maintenance to the tenant in the lease, the landlord may pass on to the tenant any fines received from violating local laws or HOA rules. Landlord: The landlord must keep all common areas of a multi-unit residential property safe and clean, provide appropriate trash receptacles and arranging for regular pickup. Elevators and other common-use systems also fall under a landlord’s area of responsibility. Tenant: Tenants are required to follow property rules in regards to cleaning up after themselves in common areas and not misusing equipment, like the gym or pool area. Hi my name is Zandile & I have a problem with my landlord for not wanting to pay damages & loss that occured while doing maintance caused by their neglegence. The landlord sent plumbers to put on a new sink I have been asking for since I came in 2013 & they never did. So they removed the old sink & told me the capenter will come the next day & left the pipes & tap without safety cap. The guy who is also a tenant in the building went & open the taps from outside because there was no water & was not informed by the landlord about anything. So it messed everything in the shop & now the landlord is not liable for damages as it says on the claws on my lesse…But what I dont understand this is caused by their neglegence & now I must suffer for the damages & loss. 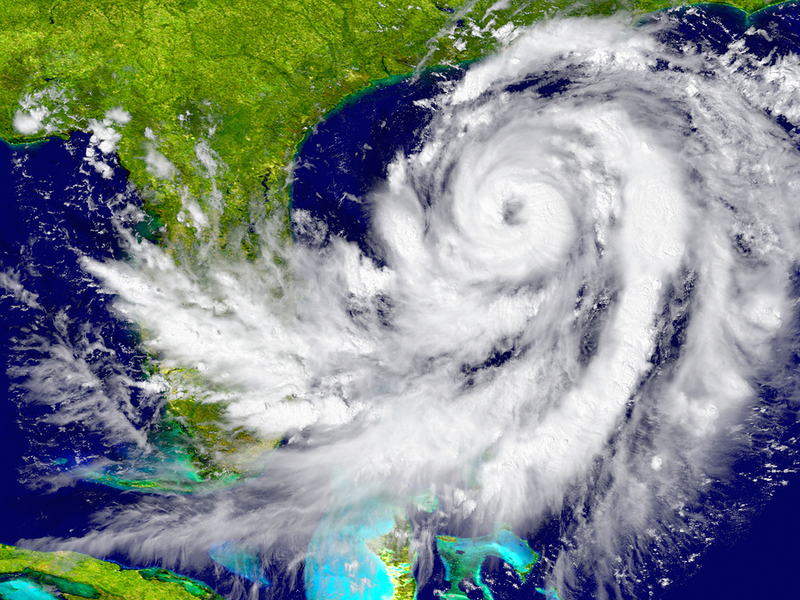 Do you have renters insurance? This can help cover the cost of replacing your damaged personal belongings? This doesn’t sound like negligence on your landlord’s end but maybe on the plubmber’s for not leaving safety caps on the pipes and taps? Can a landlord force tenants to pay for a new elevator ( the old elevator was not changed /updated for 60 years) ? A landlord can raise the rent for any reason as long as your lease agreement allows for it. The landlord can then use this rent increase to make property improvements, like updating the elevator. But a landlord cannot force his tenants to pay for a new property feature. I guess, if the landlord has proof that a tenant broke the elevator, he can reasonably require that the tenant pay to have it fixed or replaced. But that sounds like a different circumstance than the one you are describing. My tenant recently reported that the widow on the back door and the glass sliding patio door were both broken due to a pellet shot from the outside (which is there back yard.) After talking to them and the adjoining units tenant, (also owned by me.) I was told that both tenants had shared alcoholic beverages at a party the night prior, (police have been called numerous times for attempted break ins from an abussive exboyfriend of tenant. )and the adjoining tenant also admitted that a visitor to her unit owned a pellet gun. Am I, as the landlord responsible for the cost to repair? It doesn’t sound like you would be responsible. It sounds like you have clear evidence this was tenant caused damage. Your tenant is responsible for their guests and if their guest had a pellet gun, then it should be that’s tenant’s responsibility. My renter’s office have an on-site maintenance man that does repairs. He came to fix one of the repairs on my ceiling and fail to cover my furniture. There are paint specs on my leather chairs and class table, and they even messed up my daughters coat. I called the renters office and they told me that I was responsible. Am I responsible for these damages? My landlord/onsite property management finally put a letter on every tenants door about the Utah clean air act after two weeks of me complaining. Where they failed also is that the letter states that if a tenant smokes they have to be WITHIN 25 feet of the building. I brought it to their attention and they said the smokers will get the jist of it. I emailed management and said that all the tenant needs to take to court when they try to evict them is the letter with the managements letterhead on it that states the smoking tenant must be WITHIN 25 feet of the building and the management company will probably have to pay for the smoking tenants legal fees and not be evicted. I haven’t heard back nor has there been a corrected letter posted on doors. SMH. and they keep forgetting to inspect what i believe is mold in my unit. They have missed 3 appointments and they have maintenance ONSITE!!! What can i do now? Get a lawyer? What are you hoping to accomplish? Do you want to break your lease and move out? Then yes, I would suggest getting a lawyer. I ask for a maintenance check for moisture in the apartment, my land Lord hired a company to check and then charge me with the bill, is this even legal? I would check your state and local landlord-tenant laws to discover what your landlord can legally charge you. 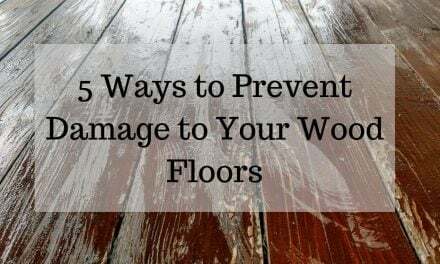 Hi, some months ago both bathroom flood and all tidy stuff expand to the all apartment, the carpet was nasty and I was scared that my son can contract a sickness due lots of bacteria. I call the landlord that take 2 days to send a plumber that at the end of the job certified that was not my responsibility. So is ask for a carpet replacement since was all wet and full of excrement but she agreed only for a clean and dry. Is that legal? Then since they raise all tenants rent without reason (no property works, cleaning etc), I asked for maintenance and ask again for carpet replacement, window fix (was cracked because the frame is not good and make harder to open and close the window) at the end the manager told me that the landlord agreed to fix minor repairs to fix some issues caused by their handyman, to replace the glass of the windows and denied to replace the carpet. Reguarding the window, the manager told me that the landlord will fix it but if next time happens again, they will charge me. So they proceed with small fixes made by the manager and the glass replacement. Today, after 2 months , the manager knock at my door and give me the bill of the glass replacement. So I get mad and I complain asking the reason of the charge, his answer was OH I DON’T KNOW, I RECEIVE THIS IN THE MAIL THIS MORNING. I ask for the landlord number to discuss about this since she agreed to fix on her own and the manager denied. Oh I let her give u a call….this is the answer, all the time i want talk with the landlord they never wanna give me the number. The previous manager just tell me that she (the landlord) don’t wanna talk with tenant so whatever complain is the manager that manage it and receive an answer from the landlord. Anyway since she agreed with the fix of the window, I don’t think that is fair ask me to pay, especially after 2 months. What should I do? Do you have proof that the manager agreed to pay for the window fix? I had some MOISTURE problems, so I call for a maintenance check, the Landlord hired another company to check and send me the bill, ($75), in 3 years at this apartments I had never paid for any maintenance visit, I also paid for insurance. I did pay because if I pay late I’ll be slap with a $100 late fee, I wasn’t consulted, neither did they ask for my permission to give acces in my apartment to a third party, let alone advising me that I will have to pay for it. can I deduct that payment I don’t agree with from this month rent? I went and complain and the property manager told me she will send a report to the office, wait the whole month and never got an answer from them. I would keep following up with the property manager about the charge. I would not deduct the amount from your next month’s rent. Check your state laws to see if you qualify for repair and deduct. Also a note about repair men entering your property, as I understand it, if you submit a maintenance request, the property manager does not necessarily need to provide the standard notice to enter the property to fix or address the maintenance issue that you requested. I would also check your lease agreement to see what it says about who is responsible for paying for a moisture analysis or other non-standard maintenance. Good luck! Thank you so much! So far I got an apology, but I still need to pay. I live with my dad and my three kids. The landlord has tried to evict us bc my dad moved me and my kids in 2 years ago. We live in the attic that he called a apartment with no installation. The oven is broken and we have not had heat for 2 years. Our window units that i just replaced came out of my pocket bc he refused to fix the ones that werent workin. He told me i couldnt put in the new ac units. I told him we were not gonna go a whoke summer in 100 degree weather in a attic without ac. He then sent my dad an eviction notice bc of it saying my dad violated the lease and he doesnt have a lease he has a verbal lease. Oh yeah no fire extinguishers and the living room sockets are blown and the bedrooms have one pugin. The ceiling is caving in and there is mold in the bathroom. What can i do about this slumlord. Check you state laws about verbal lease agreements and under what conditions additional occupants can be added to a verbal lease agreement. You can also speak with your local tenant association or tenant’s union for resources to report your landlord if he is breaking any laws. I am renting my home out to a family. We lived in the house for 6 years with no significant issues – just the usual maintenance costs. 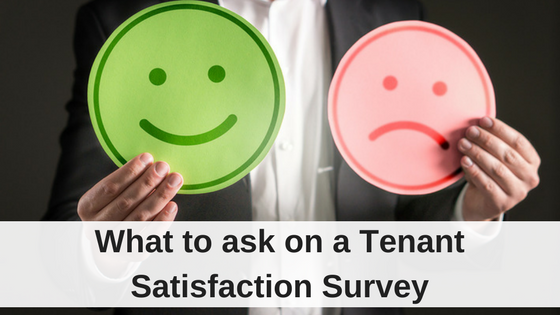 The tenants however have been bombaring us with an almost weekly list of problems they need resolving which, until now, we have been prepared to cover – it’s come to about $5000 in 6 months. This weekend however they went to bed leaving dishes soakin in the sink. They claim the faucet turned itself on and, because the sink was full, it caused a flood resulting in damage to kitchen cabinets, the wooden kitchen floor warping, the ceiling of the basement falling in and the carpet in the basement being saturated. We’re looking at thousands more in repairs. They are saying that the faucet sensor was faulty and that they have no liability for what happened. In the six years we were in the house the faucet did malfunction once, when the sensor batteries were failing (it’s their responsibility to ensure batteries are updated) but no damage was caused as the water just went down the sink. It’s also possible that they left the faucet running manulally and forgot to switch it off. We have no way of knowing. Do we have any basis for asking them to pay (or at least contribute to) the costs arising from this flood. Do they have renters insurance? That would be the most helpful in actually getting them to pay for some of the damage. If your renters don’t have insurance, I would seriously consider adding an addendum to the lease making it a requirement to obtain a renters insurance policy. I live in Oklahoma. Our property manager refuses to: clean the black mold growing under every sink, take care of a roach infestation, replace insulation (which hasn’t been done in 20 years), clean our vents, or fix a rafter in the ceiling that is falling down. He says that if he reports it to the property owner then they will issue a 30 day notice and we will be kicked out. What the hell? Check your state laws about repair and deduct options. You should also report your situation to your local tenant’s resource center or tenant’s union. An owner cannot retaliate and issue you a notice to vacate if you report maintenance issues. And your property manager should never threaten you that the owner might do so, that is illegal! By law How long do I have to repair an AC unit in the state of Tennessee? I just got the unit replaced with a brand new one and two months later my tenants are complaining about it going out again. I informed them that my AC guy will be out there this evening and they wanted it fixed sooner, and threatened to find accommodation for their stay tonight and have it come out of their rent. Mind you today is a Sunday on a holiday weekend, I’m doing the best I can to get the issue fixed but they are not wanting to work with me. Most state’s allow the landlord to take a reasonable amount of time to fix a non-emergency issue. Double check your state and local laws. In some state’s a broken a/c does not make the property unlivable, so you might not be required to pay for a hotel for tenants while it is getting fixed. As a landlord I have to repair the ceiling in one of my tenant’s bedrooms (which I have no problem doing as soon as possible). The tenant says I am responsible for taking the bed apart and clearing the room before the work begins; and put it back together after work is complete. Who is responsible for clearing furniture from the bedroom that needs repairs, the landlord or the tenant? I would think it’s the tenant’s responsibility, but I don’t have a state law or local code to reference. I would call your local housing authority to see if they have an answer. Question: Who is responsible if movers damage common property like a sewer line or outdoor fixtures? Can this be claimed on renter’s insurance in Georgia. Movers damaged a street sewer and are denying they even did it! I would think it would be the tenant’s responsibility as outlined in the lease agreement. The movers would be considered the tenant’s guest and ultimately their responsibility. The movers should have insurance. 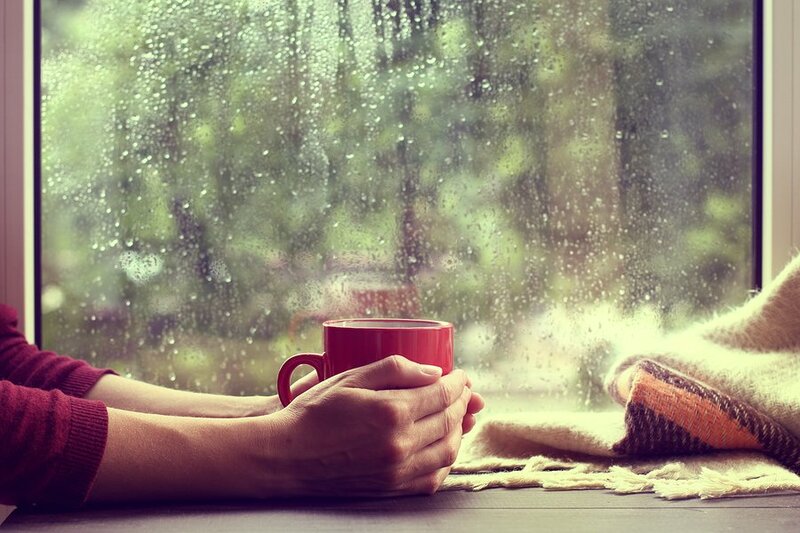 If not, then renters insurance might help. You might need to speak with your attorney if the renters refuse to pay their bill, and he or she will advise you on what proof you need. I moved in ans all was working. A month and a half into it, there was a storm and the electricity went off. A few days latter the AC stopped working. The owner was very cooperative and helped me brainstorm the issue. Suddenly, the AC begun working again. However, the electricity bill went from $137. to $678. in one month without delays in payments. The consumption of the electricity was similar from previous month. The landlord called an electrician and he declared something was wrong with the AC and the issue was the cause for the bill to be so high. My question, who pays for the extra amount of electricity generated by the damaged AC? You could ask your landlord if he would be willing to split the bill. You could also call the utility company and explain the problem, to see if they will lower the bill for you. This is so true! Tenants seriously don’t take care of rented homes. We rented a home to a family 4 years ago and when they left they had broken the kitchen floor tiles, lights, console (my mom chose it herself and it was so beautiful) along with some other minor damages. Tenant property maintenance is certainly more hectic not cost wise but caution wise cause monthly visit from owner brings the tenant into pressure because he have to make sure that everything is tip top. I have 2 questions: 1) Can a landlord force you to participate in a “benefits program” that they charge you for i.e. a charge of 15.00 a month for a filter being delivered to you. 2) Can a landlord force you to pay for liability insurance even though you already carry it and provide proof to them annually? Check your local and state laws for allowable fees in lease agreements.